We use essential oils as a natural remedy for a lot of issues like migraines, stress, muscle pain and more. It makes sense to use all natural ingredients since we use it on our bodies, but what many do not think about using essential oils as a natural remedy for gardening. Why wouldn’t you use essential oils to get rid of insects, rodents, etc in our garden? Whether you use it on fruit, veggies, or on your flowers- it will still effect your own health since you are around them so much (or put them into your body). 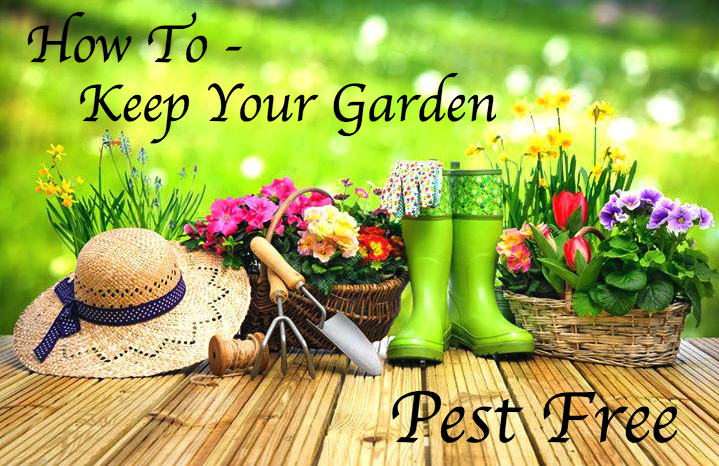 Did you know keeping your garden pest-free without toxic chemicals can be easy? There are a number of essential oils to get rid of bugs, insects, weeds, and fungus- you do not need chemicals to do the job. Tea Tree Essential Oil is the essential oil to use to prevent fungal growth. Add 10 drops of tea tree oil into a four-ounce spray bottle filled with water. Apply a light mist on the stems of your plants to treat, as well as prevent, fungus. Apply it to the soil, too. You can do the same with Rosemary, Oregano, Thyme, Peppermint, Clove, and Cinnamon oils, which all have powerful fungicidal properties, as well. Rosemary Essential Oil is great for repelling pesky bugs, insects, flies, fleas, and mosquitoes. It even deters the larvae. Rosemary keeps pesky bugs from eating your plants. If plants are in a pot, you can put a few drops of rosemary on the rim of the pot. Apart from bugs, if you have a problem with pets, especially cats, it’s rosemary to the rescue. Cats are not fans of the scent of rosemary. Mix with water in a spray bottle and use it on the mulch. The scent of Peppermint Essential Oil can keep quite a few uninvited pests such as flies, aphids, ants, fleas, beetles, squash bugs and spiders away from your herb and veggie garden. The scent of peppermint is also a turnoff to mice and other rodents. Eucalyptus and peppermint are both natural remedies to get rid of moles. Put a few drops of oil on cotton balls. Use a stick or similar object to put the cotton balls into the holes, letting the pests know it’s time to find a new home. Cinnamon Essential Oil is an excellent choice for removing weeds. Simply add a few drops of the oils to a spray bottle filled with water and spray away the weeds. Thyme and Clove Essential Oil work as deterrents for quite a number of insects, including flying insects. Fill a spray bottle with water and then add 10 drops each of thyme, peppermint, clove, and rosemary oils. Shake before using and spray wherever you have critters you want gone. In addition to repelling pests, you can use essential oils to attract. For example, if you want more butterflies in your garden, put a couple of drops of Lavender, Orange, or Helichrysum Essential Oil on a cotton ball and put it in a plant pot or anywhere else in your garden. If you want to attract bees for pollination, use Orange Essential Oil. In a four-ounce spray bottle filled with water, add 8 drops of orange essential oil, shake it up, and spray on the buds and flowers. Enjoy your garden with these natural insecticides and remedies to keep your garden free from unwanted insects, fungus, and other pests.